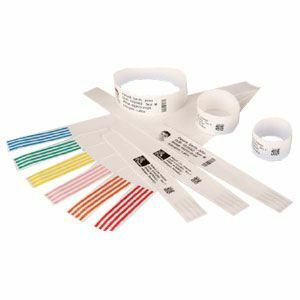 Direct thermal white polypropylene wristband with a permanent acrylic adhesive paper tab for securement. Features tamper-evident slits. Available in several lengths and widths for adults children and infants as well as colors.